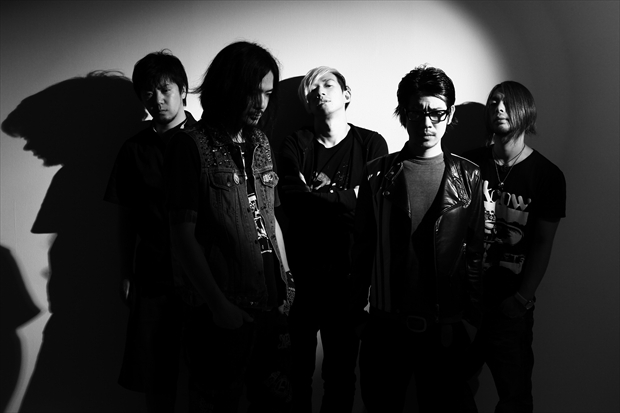 A quintet band consisting of HAYATO (Vo, G), KAWAGUCHI (G, Cho), YOKKUN (G, Cho), YUICHI (B), INOMAN (Dr). In 2004, began as a quartet band with twin guitars and mainly performed in Tokyo. In 2005, YOKKUN joined the band. Gained popularity through touring in Southeast Asia and performing with bands from inside and outside of the country. In 2009, YUICHI joined the band, and the band became the current lineup. In May 2010, performed for the PIZZA OF DEATH compilation album project “The Very Best of PIZZA OF DEATH II”. Through it’s success, released their 1st full-length album “BRAVE NEW WORLD” from the aforementioned label, in November. In 2012, self-produced, and released the charity single, “THE UNBROKEN HEART” for the Tohoku Earthquake. In April of that year, recorded their first music video for their monumental, over-10-munite work, “MEANING to be here…/ To the Future”. In September, performed at “AIR JAM 2012” in Tohoku. In October, released their 2nd full-length album “Shine Our Journey”.